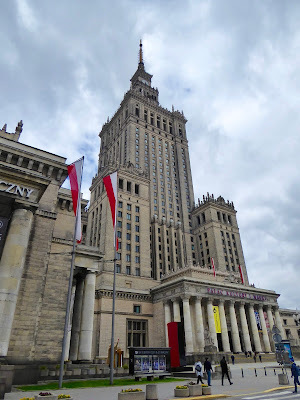 Warsaw, Poland - Europe's Next Hot Spot? Royal Palace in Warsaw's Royal Lazienska Park. Photo © Judy Wells. A steady stream of Americans visits Poland; after all, Chicago has the second largest concentration of Poles, making it Poland's second largest city. Increasingly, the rest of America and the world are discovering this reasonably priced center of interesting history and sites, beautiful countrysides and welcoming hosts. After centuries of struggling to rule their own nation, the Poles have achieved their goal and want to show off. 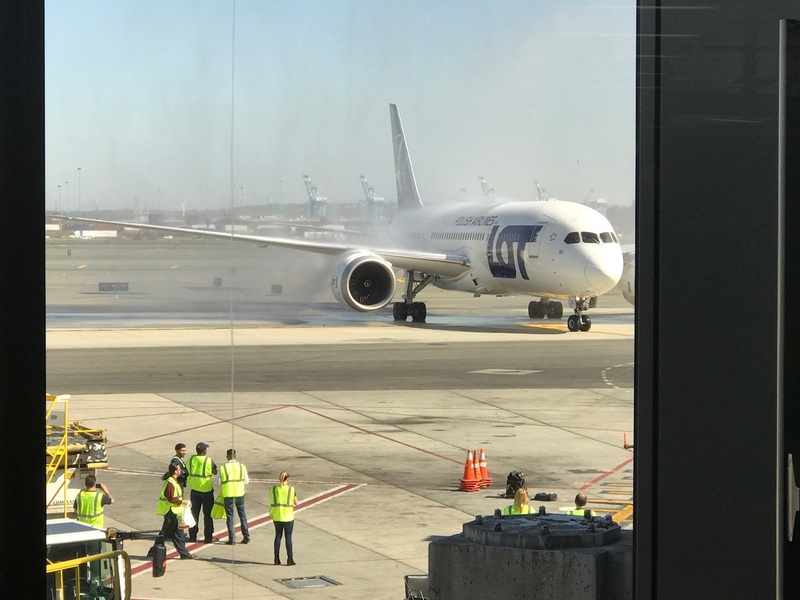 LOT Dreamliner gets the inaugural traditional water spray welcome at Newark. LOT, the national and most aggressive airline in Europe, is making it easier with 27 new or reinstated routes for 2016. A direct flight between Los Angeles and Warsaw and Chicago and Krakow have recently been added. 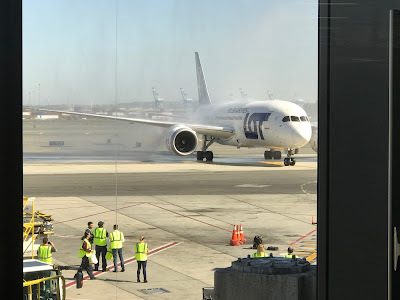 I was invited on the inaugural reinstated flight from Newark to Warsaw April 28 followed by a quick look at Warsaw and Krakow. Here's my take on Warsaw. It is impossible to ignore the tragedy of Poland's Jewish populations. From the mid-13th century, Poland was known as the most enlightened and tolerant of European countries. Its rulers gave Jews all the rights of Christians. Scholars, musicians, merchants, writers and scientists flourished and so did the country. All changed with the 20th century and the rise anti-Semitism exacerbated by fascists and Nazis, who turned Jews, gypsies and homosexuals into scapegoats for all of society's ills. There were more than 3.5 million Jews, a large percentage of the world's Jewish population, living in Poland prior to World War II. More than 3 million of them were killed by war's end. More Polish gentiles, 6,706, have been recognized by Israel for their efforts in saving Jews than in any other country. 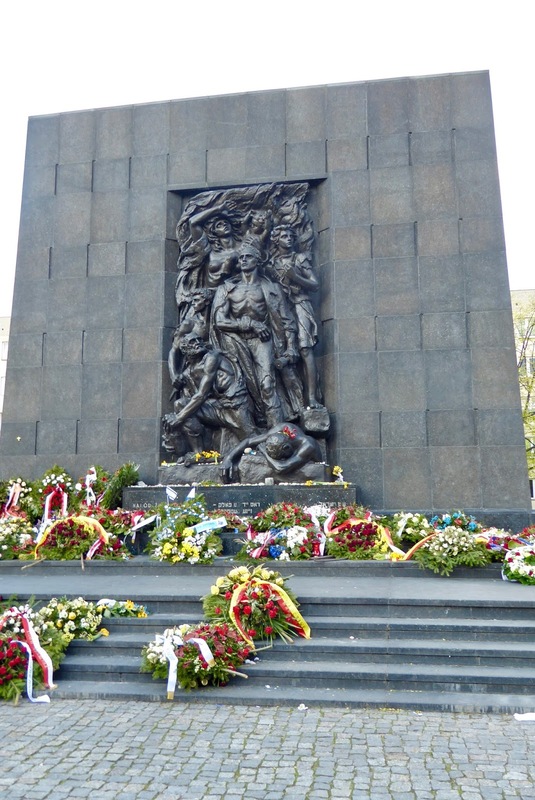 Flowers fill the base of the Holocaust Memorial at POLIN Museum of the History of polish Jews. Memorials to victims of the Holocaust dot the Polish cities and countryside, always with fresh flowers. The current Old Town isn't so old. Photo © by Judy Wells. Old Town after the war. 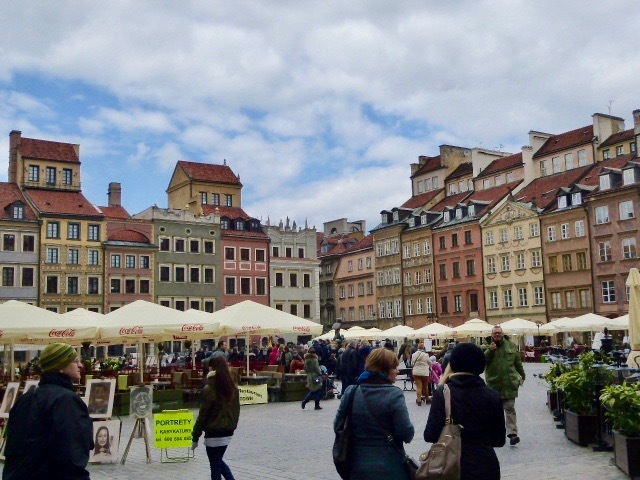 Most - 70 percent - of Poland's capital was destroyed through World War II and the Soviet takeover, but in many areas, primarily Old Town, you'd never know it. Even the Soviets recognized the importance of recreating the 13th century historic district. 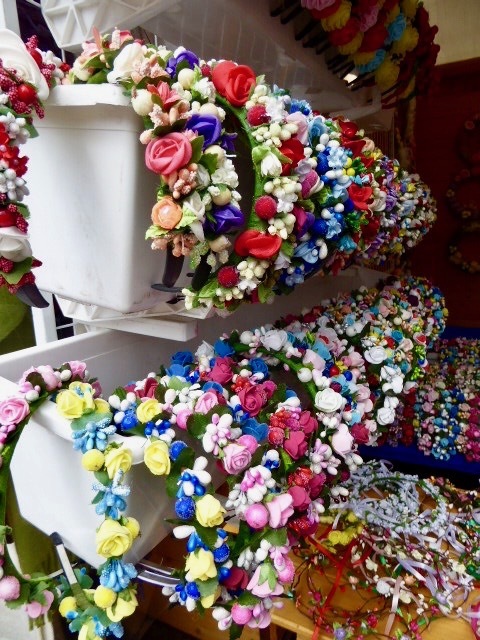 Tourists and natives flock there, picking up souvenirs, snacks and floral headbands, a popular adornment. The "Palace's" redeeming feature is its 360-degree view deck. 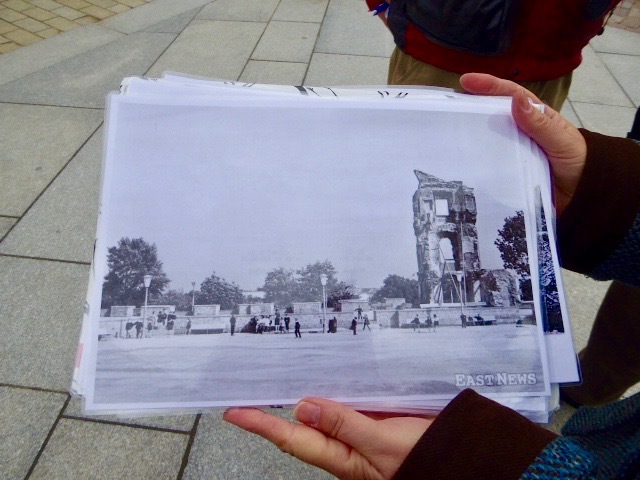 The Soviets also made sure major boulevards were wide (easier crowd control) and gifted the city with the enormously large and ugly Palace of Culture and Science, tearing down what bombs hadn't already destroyed around it. Unfortunately, one of those wide roadways the Soviets built runs along the Vistula River, effectively separating it from the city. Outside the Warsaw Rising Museum. Photo ©by Judy Wells. 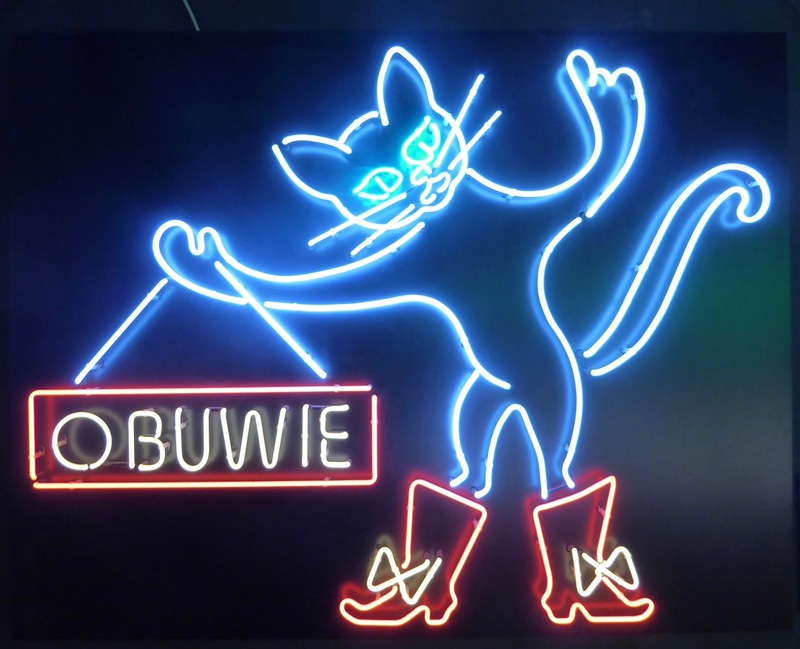 Two museums that are musts for anyone with a taste for history. 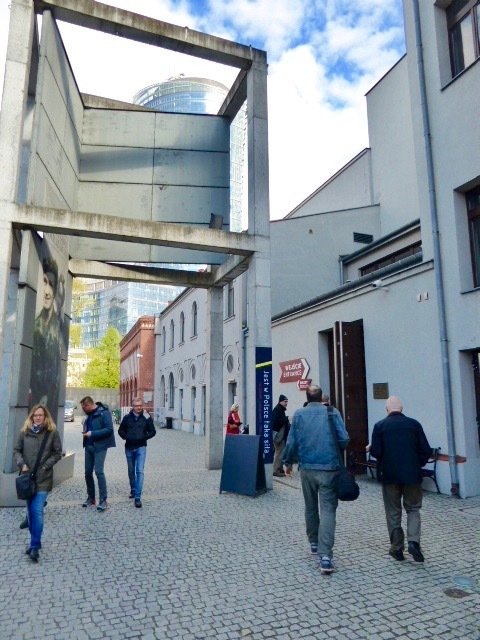 The Warsaw Rising Museum effectively recreates the uprising of Polish Nationalists and Jewish ghetto residents Aug. 1, 1944, the heroic but doomed to fail struggle. 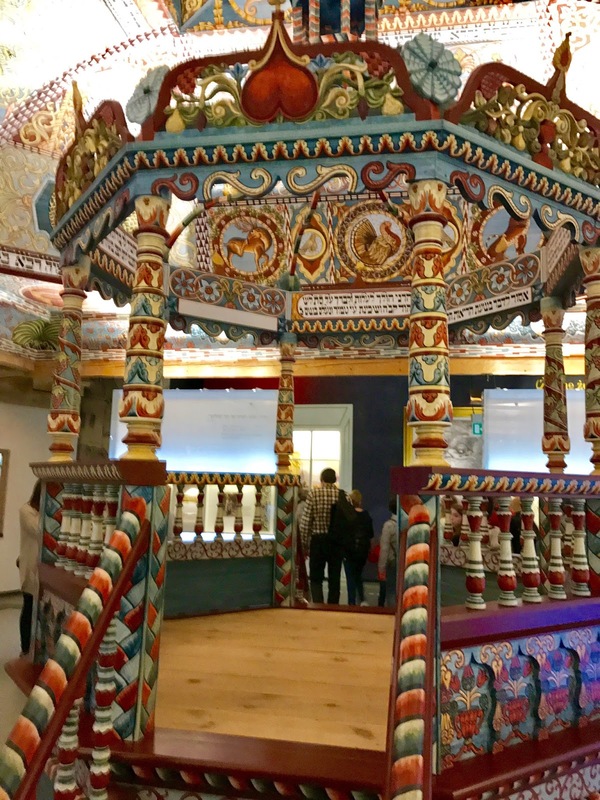 From Nazi occupation, torture and systematic killing to post-war communist fears and oppression, the museum honors all who have given their lives for a free Poland. A recreated 17-18th century synagogue is exuberant from ceiling to floor. 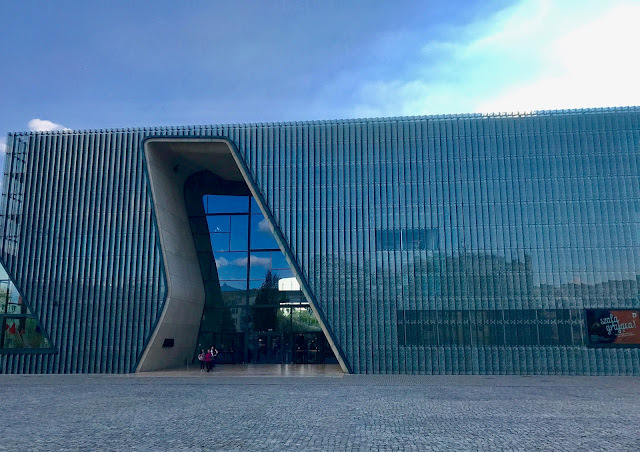 POLIN, Museum of the History of Polish Jews, entertainingly, joyously and gut-wrenchingly covers 1,000 years of Polish Jewish history. Named Europe's Museum of the Year in 2016, it is worth the better part of a day's visit. 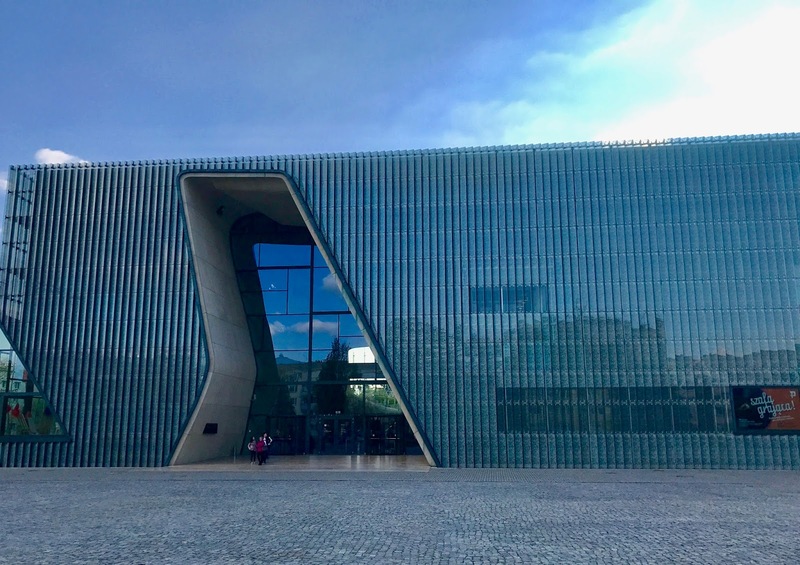 Design your own 12th century coin in Hebrew, see a book printed in 1644 in Krakow, listen to Klezmer music, follow the footsteps to dance a tango, watch a Jewish movie, wonder at the dazzling ceiling of a reconstructed 17-18th century synagogue and yes, feel the terror and horror of the Holocaust. Poles set up their own altars when Soviets discouraged religion. Photo by Judy Wells. Warsaw is still getting its act together. Some areas are in disrepair, others will have ramshackle buildings amid attractive period or contemporary-style ones. Tangles of ownership are yet to be untied. 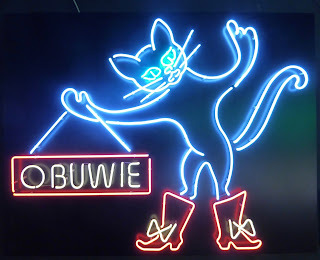 Inside the Neon Museum. Photos © by Judy Wells. As soon as ownership is established, urban renewal jumps in as it has in the artsy Praga, the Bohemian district, where you will find the Neon Museum and snazzy restaurants moving in near the old Milk Bars and the unrestored area where "The Pianist" was filmed. 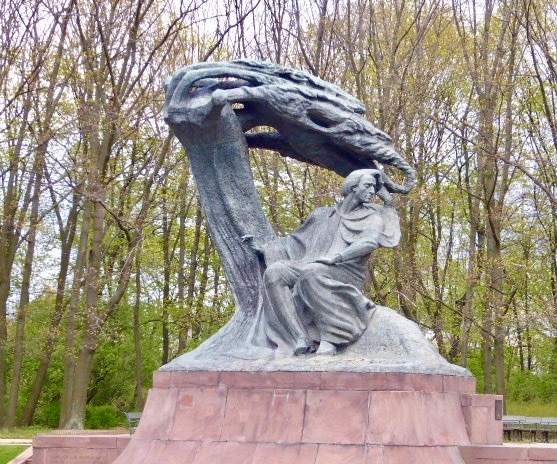 Chopin is front and center in Royal Lazienka Park. Photos © by Judy Wells. Parks, 40 percent of the city, add to its charm. Don't miss Royal Lazienka Park with the larger than life memorial of favorite son Fredyryk Chopin under a willow tree. If you can't make one of the Sunday afternoon concerts there at noon and four mid-May through September, look for the marble bench, one of several near significant spots for the musician. Sit, download an app and listed to his music. 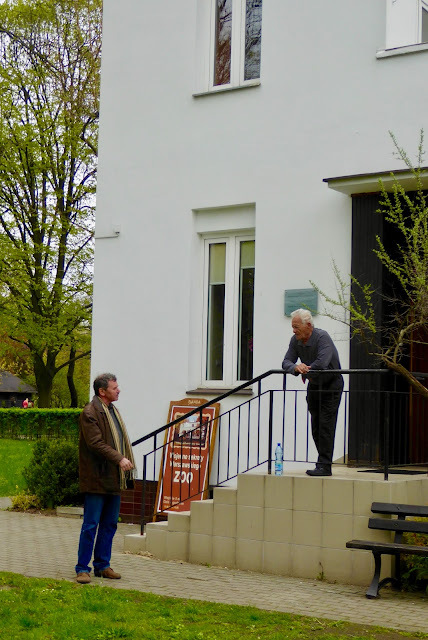 Zoologist Richard Totola chats with Moshe Pirosh, who became friends with Richard, son of Zookeeper Dr. Dan and Augustina Zabinski, when as a 10-year-old he was hidden in the Zabinski's basement. 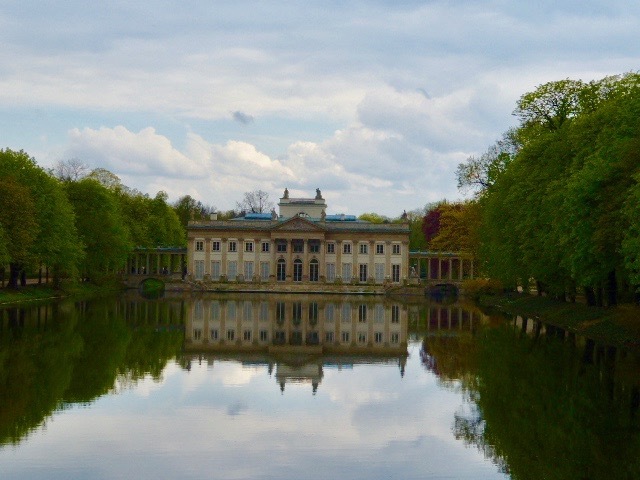 If you are a fan of The Zookeeper's Wife, definitely visit the tree-filled Warsaw Zoo and arrange a tour of the house where it all took place. Quite an experience. The tunnel through which Jews were smuggled into the Zabinski's basement and out to, if lucky, freedom. Food can be a highlight of your visit. 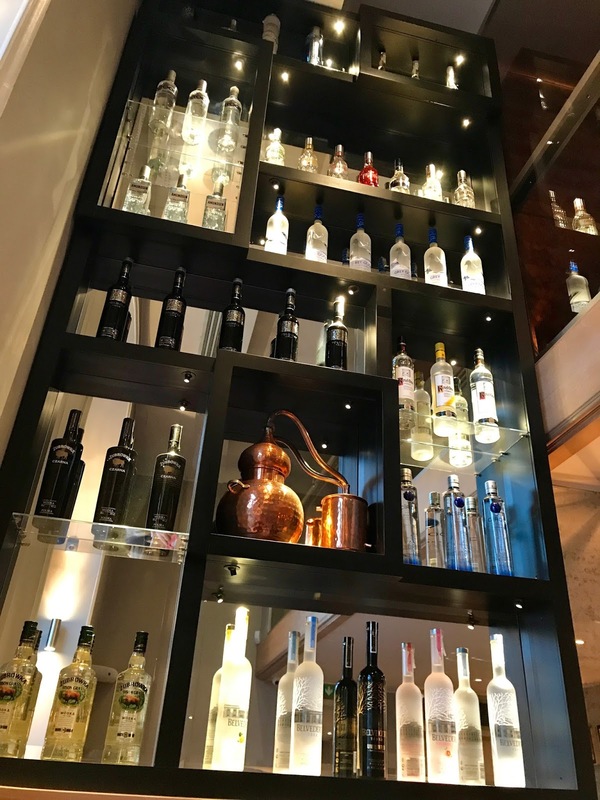 Elixer Dom Wodka, the vodka restaurant, combines imaginative cuisine with vodka pairings in a sleek setting. 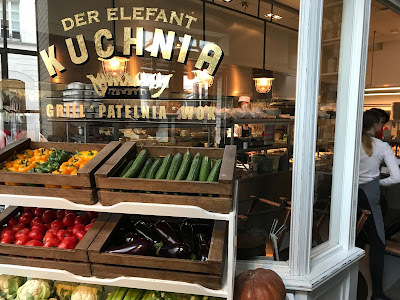 Der Elefant attracts families and singles with a wide array of choices - pirogie to tartare to creative burgers and plate-filling fish. There's even a supervised children"s room so the adults can linger. 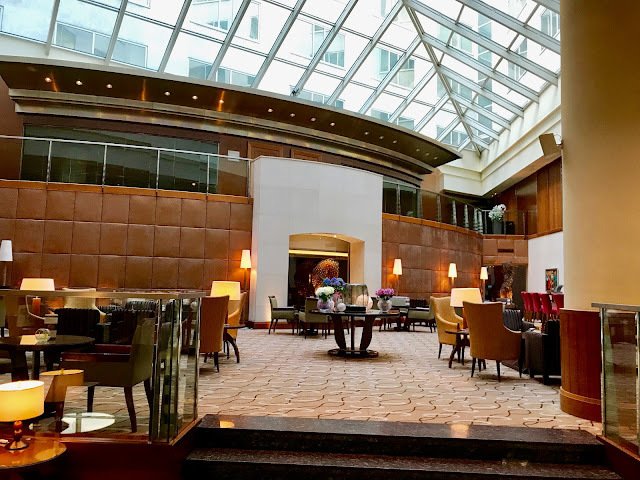 Regent Warsaw Hotel Lobby. Photo © by Judy Wells. Our group was hosted by the Regent Warsaw Hotel, a beautifully designed contemporary retreat near Royal Lazienka Park. Staff is helpful, breakfast excellent, rooms large and well-equipped with divinely comfortable pillows. If you want something more historic, Hotel Bristol is your spot. 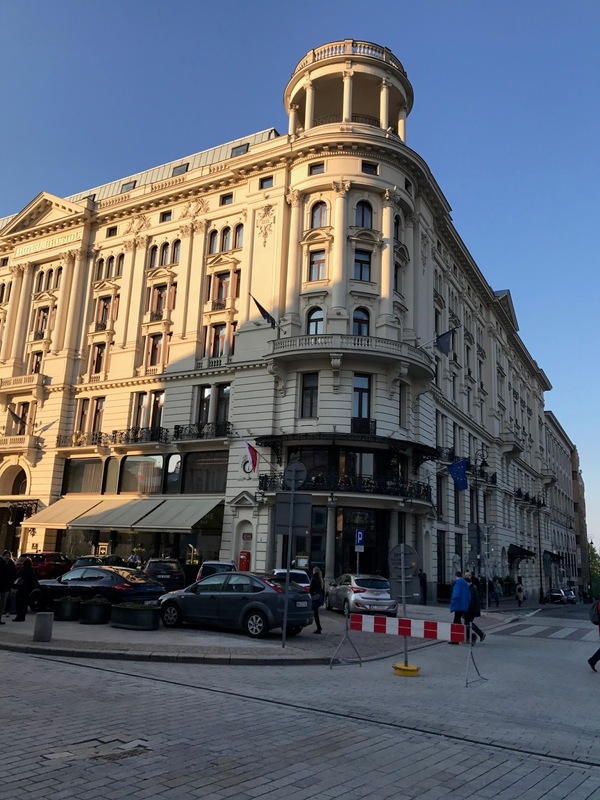 The rooms are smaller but you will be sleeping in an Art Deco-style hotel once owned by composer, pianist and politician Ignacy Paderewski where heads of state and celebrities have stayed. Wasn't there long enough to evaluate the night life, said to be hopping, but Warsaw is definitely a work in progress. Twelve days, Delhi, Ranthambhore (tiger reserve) and Jaipur in 5-star hotels, 15 meals and all the rest offered by World Spree Travel. Hard to resist at $1,599 to $1,899 per person double occupancy depending on departure date (Sept. 29 to Dec. 5, 2017), including air. Details: Log onto www.worldspree.com and click “Destinations” and then “India.” World Spree’s toll-free telephone number is 1-866-652-5656. The Inn on 5th and Club Level Suites have paired up for a two-night "Cuisine and Cruise" package in downtown in Naples, FL. Room for two nights, sunset sightseeing cruise for two and $100 credit for dinner at Ocean Prime. Package price, $403 for deluxe room, $623 club level suite. Taxes and tips extra.